NEW YORK: The growing fascination with electronic gaming has achieved a level of global recognition which rivals movies, TV and popular music. As game design and performance techniques grow in sophistication audio's role in the playing experience has become paramount to players and developers alike. AES 123rd Convention Workshop and Tutorial Chair Alex Case invited THX Design Engineering Manager Steven Martz to develop a triathlon of events to provide attendees with a crash course in creating sound for interactive gaming. ADAPTIVE MUSIC FOR GAMES - Interactive XMF In Depth: Technical lead Chris Grigg - IASIG and panelists Simon Amarasingham - dSonic Inc. and Brian Gomez - Alchemic Productions - will discuss linear music in a non-linear world. How can a video game's completely interactive and unpredictable environment reproduce continuous musical content capable of adapting to the playing experience? An insiders view to the creation and implementation of adaptive music. AUDIO FOR GAMES: Dialog Recording, Workflow and Asset Management - It is not unheard-of to have 9,000 lines of dialog (or other audio assets) in a game. Presenter(s): Jory Prum - studio.jory.org and Marc Schaefgen - Midway Home Entertainment will provide a step-by-step look at the monumental task of recording, editing, and organizing voluminous amounts of material. Methods will be presented for script management, session set-up and flow, and actor interfacing. 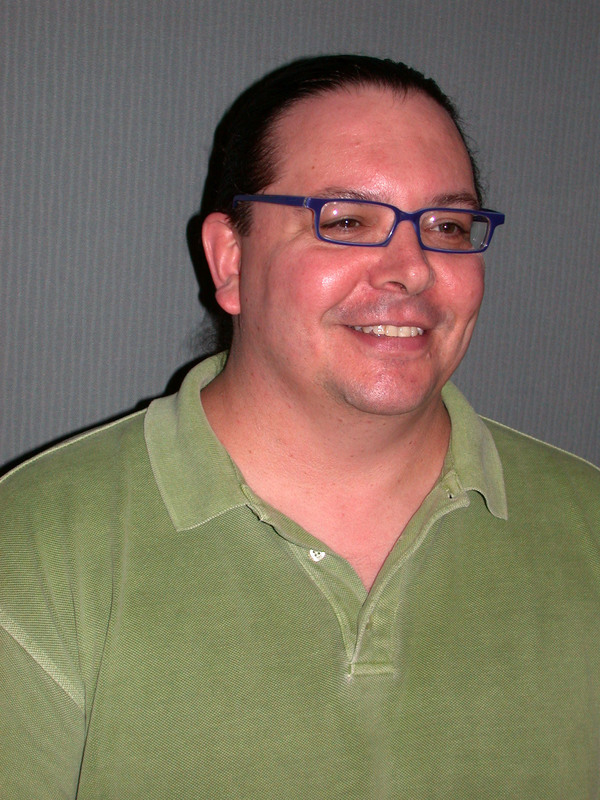 DEVELOPING AUDIO FOR GAMES: Presenter Marc Schaefgen - Midway Home Entertainment will address the evolution of game audio from simplistic bloops and bleeps to production values that rival Hollywood movies. This tutorial will detail the development cycle of the modern video game, from content creation to completion with a special emphasis on the functionality of a well-integrated audio team. "In Chairing both the Workshop and the Tutorial Committees Alex Case has done an extraordinary job in researching and coordinating these AES Convention linchpins," remarked Convention Chair Jim Anderson. "The diversity and authority of these events represent the apex of knowledge sharing, and attendees are certain to reap long-term benefits from their participation." EVALUATION OF SURROUND MAIN MIKINGS FOR CLASSICAL ORCHESTRA: Chair Mick Sawaguchi and Panelists Toru Kamekawa; Hideo Irimajiri; Akira Fukada, and Kimio Hamasaki will discuss an eighteen-month project which involved two universities, eight audio manufacturers and some 400 engineers in subjective listening tests of main miking surround techniques for classical orchestra recording. RECORDING LARGE ENSEMBLES IN MULTICHANNEL (Fri Oct. 5, 9AM - noon): Chair Martha DeFrancisco, McGill University - Montreal, Panelists: Akira Fukada, NHK; Everett Porter, Polyhymnia and Grammy-winning engineer/producer Elliot Scheiner - Born in the European salons of the 18th century aristocracy, the symphony orchestra continues to play an important role in our contemporary musical life. Capturing the sounds of these and other large ensembles remains a challenge to recording engineers and producers. Multichannel recording adds a new dimension of realism and enhanced expressivity to large-ensemble recordings. This workshop explores evolving methods for transporting a huge body of sound from a concert hall into a listeners' private space. Note: A quality listening session featuring many of the recordings discussed at this Workshop will be held on Saturday, Oct. 6, 9:30AM - noon. CONCERT HALLS AND THEIR ACOUSTICS: Chair John F. Allen founder & president High Performance Stereo (Boston). Panelists Dr. Barry Blesser, Author and former AES President; Jonathan McPhee, music director of the Boston Ballet; Dr. Leo L. Beranek, acousticians Larry Kirkegaard and Alan Valentine (CEO of the Nashville Symphony Orchestra) and Chris Blair, Partner, Akustiks of Norwalk, CT - A group of world class acousticians will discuss why audiences respond to their acoustic environments and why acoustics is as critical for the musicians as for the audience. MASTERING FOR NEW MEDIA - Chair Gavin Lurssen Grammy-winning head of Lurssen Mastering, and Panelists Carl Peel-Music Producer, Killer Tracks, LA; Derek Jones-Music Producer, Megatrax, LA; Daniel Holte, Music Producer, Burst Collective, Milwaukee and Chris Athens, Mastering Engineer, Sterling Sound, NY will discuss the common denominator in all commercial music. The mastering process has created a visceral expectation to the untrained ear. As the industry changes, mastering engineers have become more in demand to fulfill this expectation, specifically for new media outlets. This panel will address "What remains the same and what has changed?" USER-CENTERED DESIGN OF PRO AUDIO CONTROLLERS: Chair William Martens Associate Professor, Schulich School of Music McGill University and a blue ribbon panels featuring Durand Begault NASA Ames Research Center; Jeremy Cooperstock, Associate Professor McGill University; George Massenburg, GML, and Bob Ludwig, Gateway Mastering will examine the design of controllers and/or work surfaces for music recording and mixing from the experienced user's perspective. This workshop will be highlighted by a realtime brainstorming session about new control layouts using tools designed to stimulate "thinking outside of the box." UNEVEN BASS REPRODUCTION IN AUTOMOBILES: Chair Richard Stroud, CEO Stroud Audio. Panelists Mark Ziemba, Audio Systems Manager, Panasonic USA; DCX Audio Systems Engineers Robert Klaczaand David Carlstrom; Dan Field, Chief Engineer Harman/Becker, Alpine-USA Acoustical Engineer Alan Trevena and Director of Research David Clark, and Delphi Audio Systems Engineer, Ken Deetz. In the evaluation of 750 OEM Autosound systems Tom Nousaine of Listening Technology, found that a majority of systems suffer from spectral uniformity problems at low frequencies. Simply stated, the bass sounds are uneven. Some notes almost disappear while others may seem unusually loud. It is puzzling that this problem persists even though modern car electronics offer significant active sound control capabilities. The panel will discuss the issue, causes and possible solutions. "We are extremely pleased with the outstanding Workshop and Tutorial Programs developed by Alex Case," AES Executive Director Roger Furness concludes. "They personify our long-standing commitment to providing meaningful, necessary and worthwhile programming."